SM Structures Steel Buildings’ pre-engineered steel buildings are 100% manufactured in South Africa, and distributed worldwide. 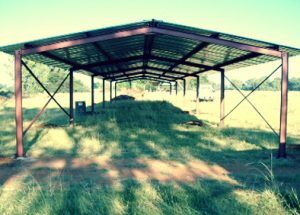 If you are looking for well designed quality steel structures of any size, we believe SM STRUCTURES is the starting point with only the finest commercial grade South African made prime steel, our professional engineers design the most durable steel structures. 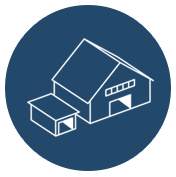 Our steel structure can be used for various uses such as garages, warehouses, workshops, metal sheds, prefab homes, agricultural storage, airplane hangars and more. SM Structures can meet any Commercial, Industrial, Agricultural or Residential application and can be customised for unique solutions as well. Due to our steel structures superior strength, versatility and simple design features, SM Structures steel structures offer an attractive and affordable building solution. Since SM Structures steel structures are engineered, manufactured and sold directly to the customer it allows you to save time and get the best steel structure price from the start. SM Structures steel structures are totally prefabricated, preformed, and predrilled. Easy for us to erect fast on site! Our long history in steel structure manufacturing, combined with consistent factory procedures to maintain excellent quality has given SM Structures a proven track record of customer satisfaction. building solutions to our clients. Let our team of experts research, plan and price your next project to make the process easier and hassle free for you. We provide simple, hassle free building solutions to our clients. There are a number of reasons why customers turn to us with their steel structure project development needs. We take pride in supplying the best steel structure designed to meet your needs. required like many other steel buildings on the market. We use state-of-the-art designing and drafting tools to generate highly accurate pre-engineered steel building designs. Further, all the assembled parts are laser precision engineered. Holes line up and parts are properly configured to create a hassle free erection and have our crew in and out in less time than is typical. The SM Structures difference is what makes your structure stronger and more affordable in the end. SM Structures strives to help its clients choose the best structure to fit their specific requirements. Whether it is designing a small warehouse or providing a structure to accommodate thousands of visitors, we’ve done it and we can simplify the process for you. It is true that often times, steel buildings cost 50% less than conventional buildings. 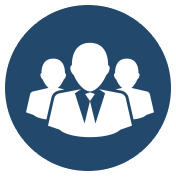 Our primary concern is ensuring your project is on budget and on time. Just submit your query and we will send you a quote.